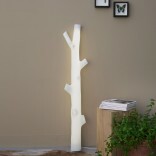 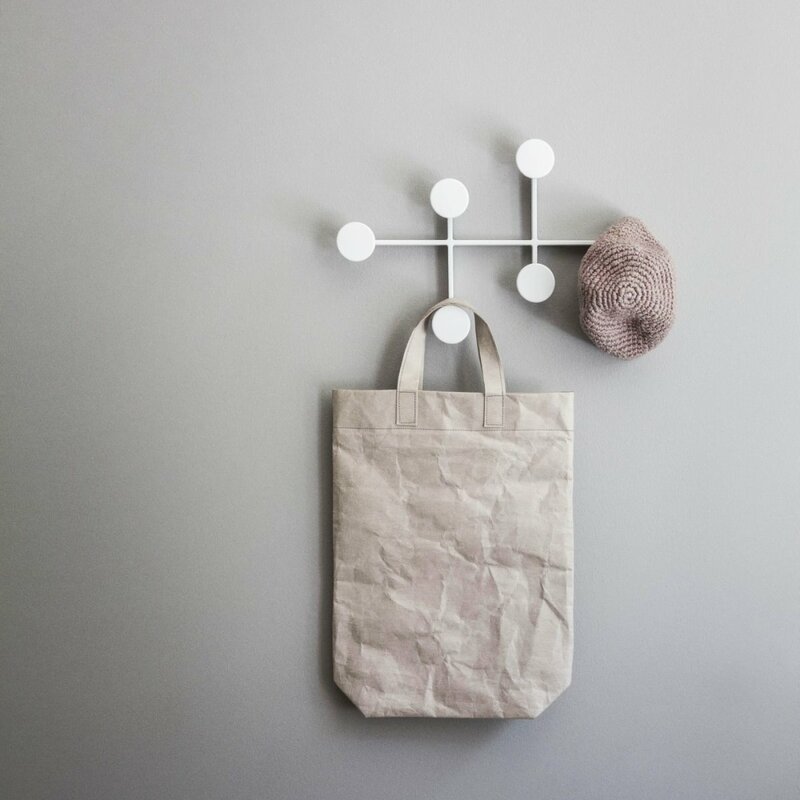 Afteroom coat rack by Menu is a minimalistic and functional rack for coats, clothes, bags and hats. 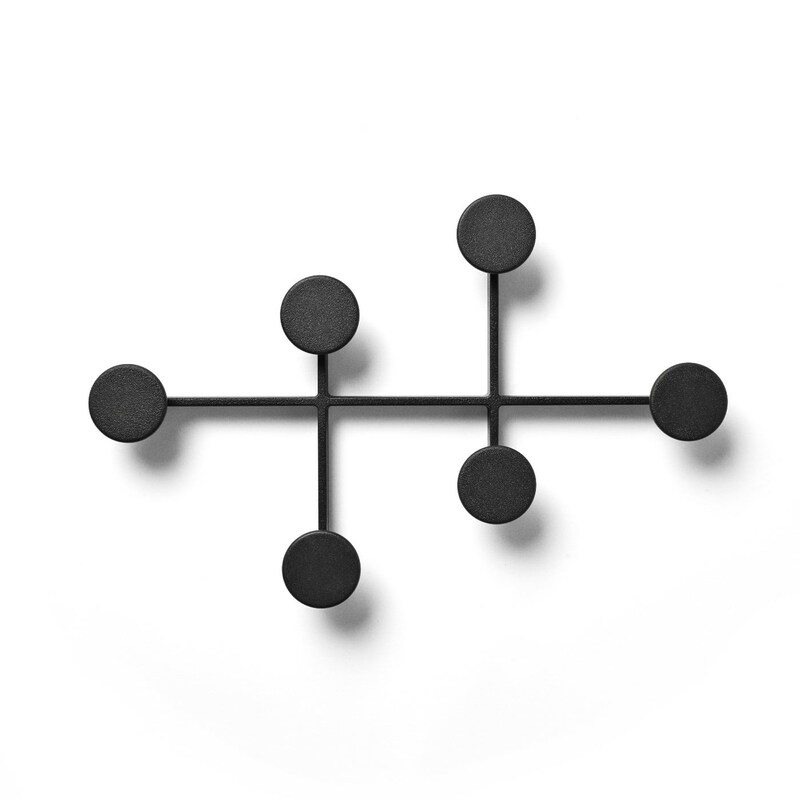 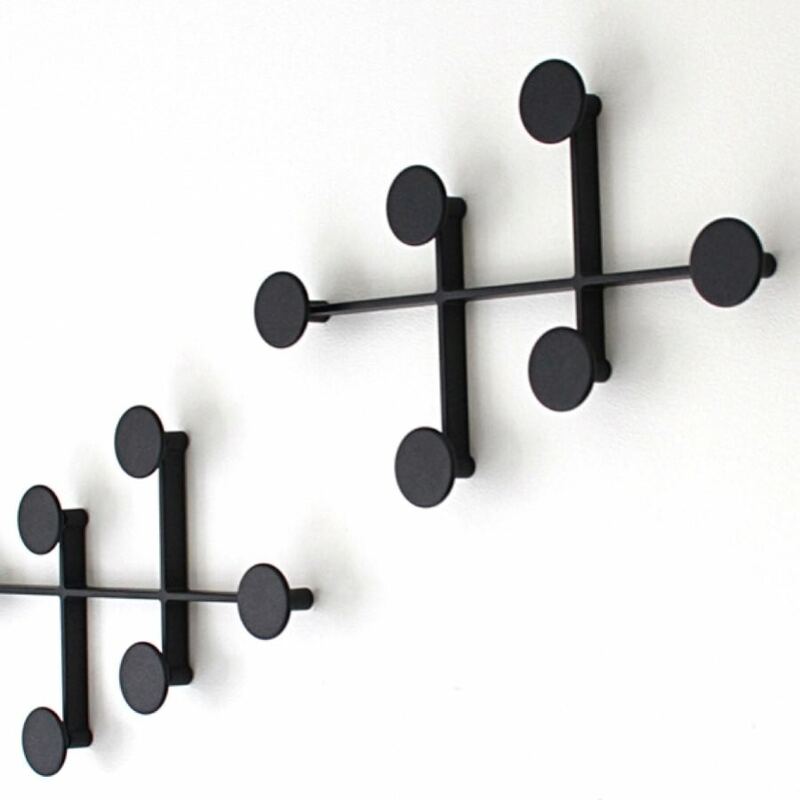 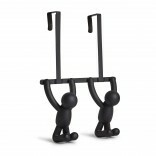 The coat rack, designed by the Swedish Afteroom, is made of metal and is easy to mount. 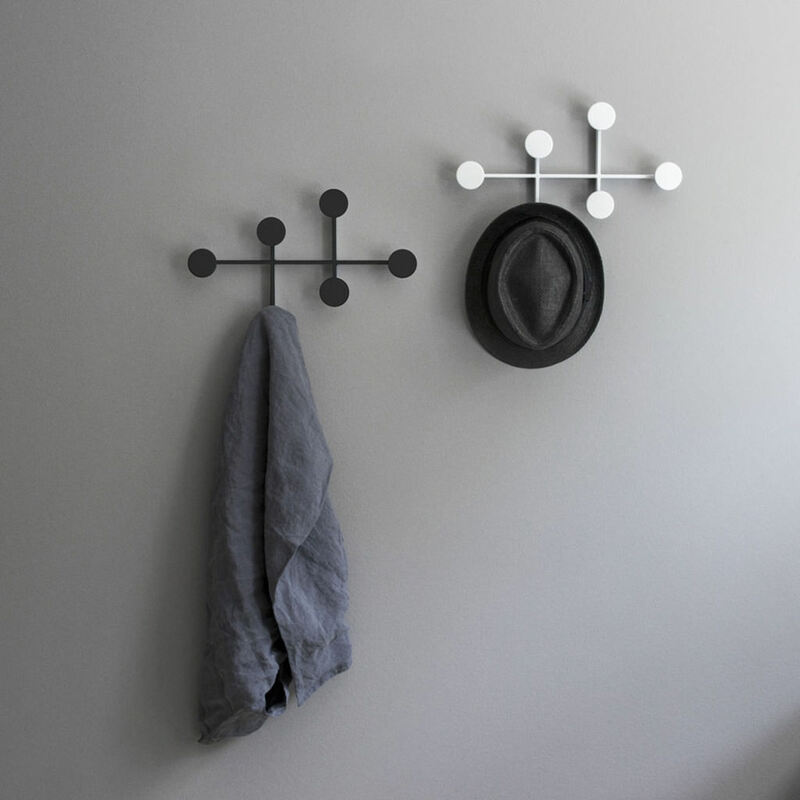 All the screws are hidden inside the frame to emphasize the minimal aesthetic. 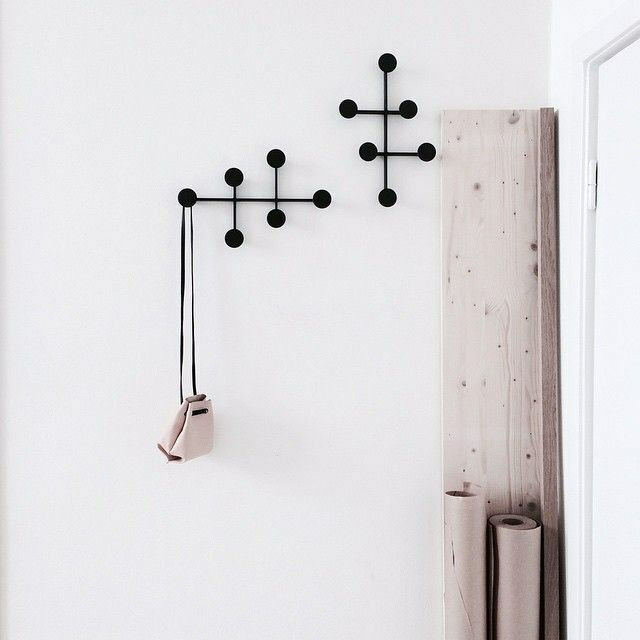 The simple lines and dots that comprise Afteroom create an intriguing graphic element whether it is in use or not. 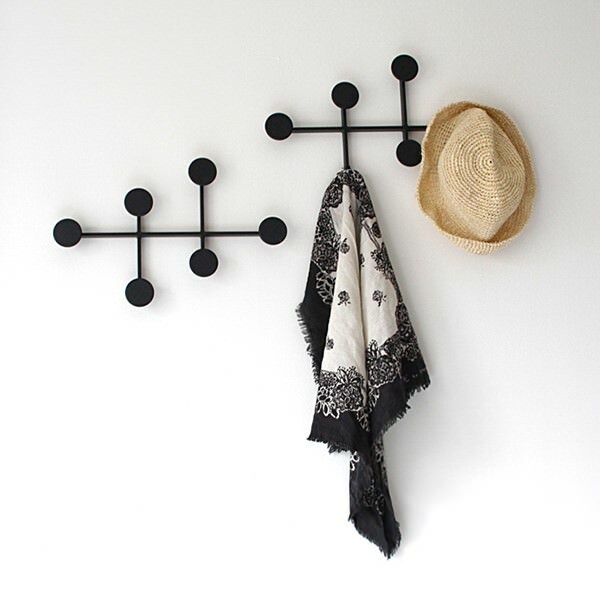 A great addition to any room where saving space is essential as the Afteroom Coat Hanger's compact design provides plenty of storage hooks in a sleek design.